Celebrate Chinese New Year with quality things that spark joy! 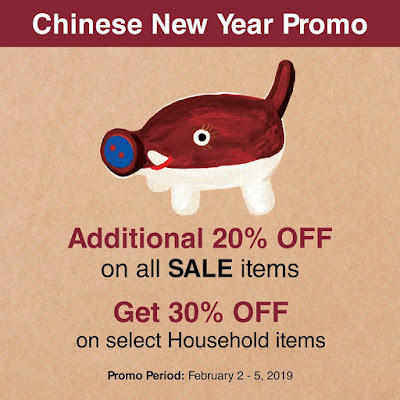 Check out MUJI's Chinese New Year Promo. From February 2 to February 5, 2019 you can enjoy the following offers from MUJI! - 30% OFF on select Household items. Head over to your favorite MUJI stores now!